Our Brokerage Team specializes in marketing commercial, investment and industrial property to assist investors, owners and users in the disposition and acquisition of real property. 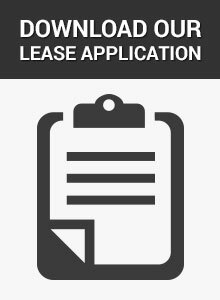 Our Leasing Staff assists landlords in filling their vacant space in office, retail and industrial properties. With nearly 800,000 square feet of commercial and investment property under management and/or lease, Selby Realty is one of the premier commercial property management and leasing companies in the Daytona Beach area. From coordinating the zoning approval, comprehensive land use amendments, design, engineering, construction and tenant build-out, Selby Realty offers turn-key development services. Selby Realty has organized, managed and participated in an investment group which has acquired and developed vacant commercial land, completed a build-to-suit, perfected a 1031 tax-deferred exchange, and acquired and managed a multi-tenant income property, turning $80,000 of equity into over $1 Million in Net Worth in two years. Over the years we have sold millions of dollars of real property via the auction method of marketing real estate. We can readily analyze if the auction method is appropriate for your property. Consulting and analytical services are offered on a predetermined per project or hourly basis.